We can offer you solutions for any of your orthodontics questions, it can be either fix /removable or metal/invisible braces! We provide orthodontic treatment in the heart of London in the Bloomsbury area, right across from the British museum, within walking distance of Holborn station as well as Tottenham Court Road. The location of any orthodontic center is crucial as getting your teeth straightened can take a year or more; it is of the utmost importance that the orthodontic clinic be easily approachable by car and by public transportation as well. Our London orthodontic clinic is located in just such a place because we want to be accessible to our customers, and our customer service is set up with these priorities in mind as well. We have on staff a customer care group who, besides having basic knowledge of orthodontics and excellent language and communication skills, are friendly and willing to help you with any sort of orthodontic problems that you may face, including retainers, child braces, adult braces, invisible braces, or just your standard, regular metal braces. Orthodontry is first and foremost a measure to ensure proper oral hygiene and long term dental health; as such, orthodontics are a branch of medicine, not aesthetics. Straight teeth are easier to clean and care for than crooked teeth; reducing gaps and crevices decreases the likelihood of stuck food, plaque buildup, and bacteria growth. Orthodontry also aids in the proper functioning of the jaws, as a jaw that closes well will experience less wear and tear when eating and chewing. Proper tooth alignment leads to a cleaner, healthier, happier smile. 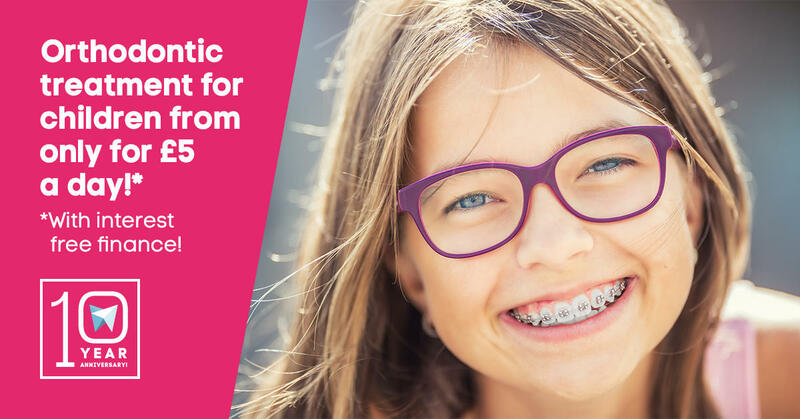 Childhood is the best time to get orthodontic treatment, as the bones of the jaw are more maleable, and the newly erupted teeth can still be set into a new alignment easily. The growth of the jaw and the teeth is not yet complete at this age, but the general patterns are visible and reversible. Children’s orthodontic treatment is usually carried out with the use of removable appliances and trainers. After the growth of the jawbones are complete, fixed appliances are recommended. The goal of orthodontic treatment at this young age is to make sure that the growth of the jaws and that the eruption of the secondary teeth is flawless. As the stigma with wearing braces is often that of immaturity, or through the misconception that dental braces are part of some embarrassing, private treatment, some professionals tend to not get braces even though they are in need of orthodontic treatment. For these people we have solutions that are very discreet, polished, and professional, sometimes even invisible. 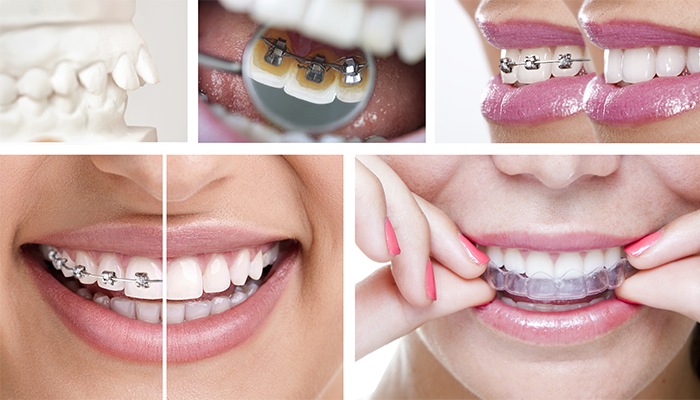 We have a wide range of braces, including the ever so popular Clear Aligners, and the completely invisible lingual braces called Incognito. 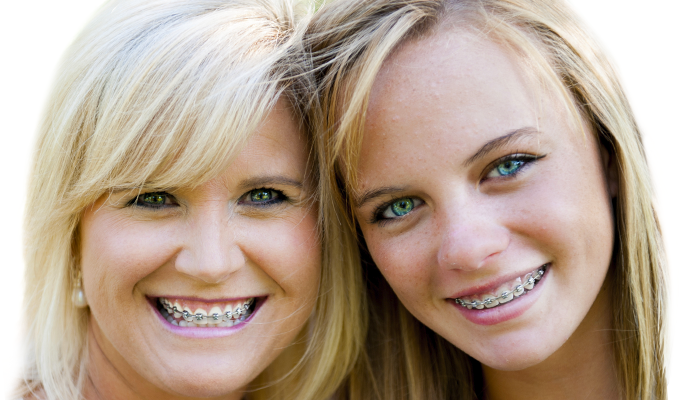 Modern orthodontics can painlessly improve your quality of life, without the childhood train tracks. If you would like to find out about those options, or any other orthodontic treatments, you can do so by browsing our website and scrolling to the appropriate menu points. For more information, or to book an appointment, Contact our Customer Care!